Posted October 31st, 2015 by Mobile Music School & filed under Music Lessons, Recorder Lessons. 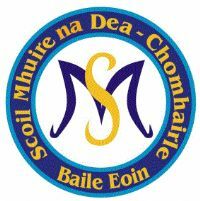 We are delighted to be welcomed back to Our Lady of Good Counsel GNS this year teaching our ‘Recorder in the Classroom’ programme. Lessons began this term with a series of clapping games to introduce the basics of learning and understanding music in a fun, energetic and educational way. Each class is centred around learning the beat and rhythm of the music. Our tutor, Darren Hatch, focuses on improving students’ aural awareness first before teaching tunes. The students have also been working hard at perfecting their breathing control. With these techniques they are able to make clearer and smoother sounds with the recorder. After mastering these skills, students then started learning their first tunes using music notation, such as “Mary Had a Little Lamb” and “Hot Cross Buns”. We’re looking forward to continuing classes after the mid-term break and learning plenty more songs!